George Cohen played as England's right back throughout the 1966 World Cup group matches, the semi-final against Portugal (in which he supplied the pass for Bobby Charlton to score the winning goal) and the final itself. 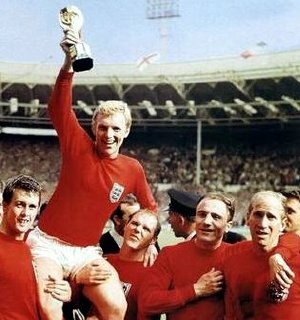 Cohen's 37th and final England appearance was in their 2-0 win over Northern Ireland at Wembley in 1967. 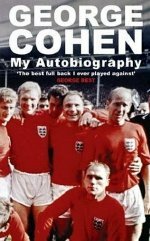 Cohen made his debut for England in 1964 in their 2-1 win against Uruguay at Wembley, and went on to play in all but five of the next 41 England games. George Best described Cohen as "the best full back I ever played against", whilst Sir Alf Ramsey called Cohen "England's greatest right back". Cohen's services to England were belatedly recognised in 2000 when he was awarded the MBE in the New Years Honours list, along with four other team mates - Alan Ball, Roger Hunt, Nobby Stiles and Ray Wilson. Cohen sold his World Cup medal to his old club Fulham who now have it on display in their trophy room. 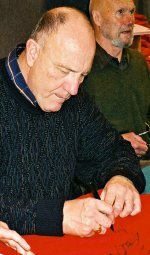 In 2003, George Cohen's book My Autobiography was published. As well as describing many of the highlights of his professional career, Cohen also writes about the tragic side of his personal life. He twice recovered from a cancer diagnosis; his mother was killed in a road accident and his brother Peter (father of England rugby union international Ben Cohen) was murdered in 2000. George Cohen was born in Kensington in 1939. He joined Fulham Football Club as a professional in 1956, when he was 17 years old, and remained with them for 13 years until injury forced his retirement in 1969. Cohen made 459 appearances for Fulham as a right back, and scored 6 goals. 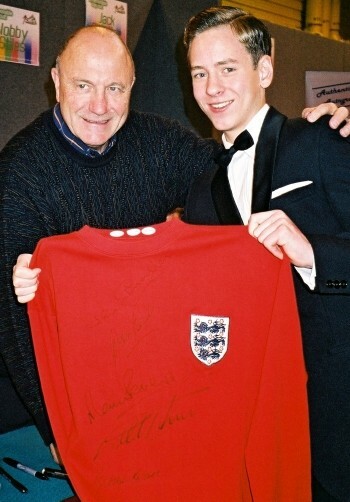 I met George Cohen at the Birmingham NEC in 2005, along with some of the other England World Cup players. You can see him signing my England shirt in the photo below.